NPS Klondike — Formations, Inc.
Design, fabricated, and installed 3,000 square-feet of exhibits within Skagway’s historic train depot—one of the remaining reminders of the bustling town that emerged when “Gold Fever!” infected the nation. 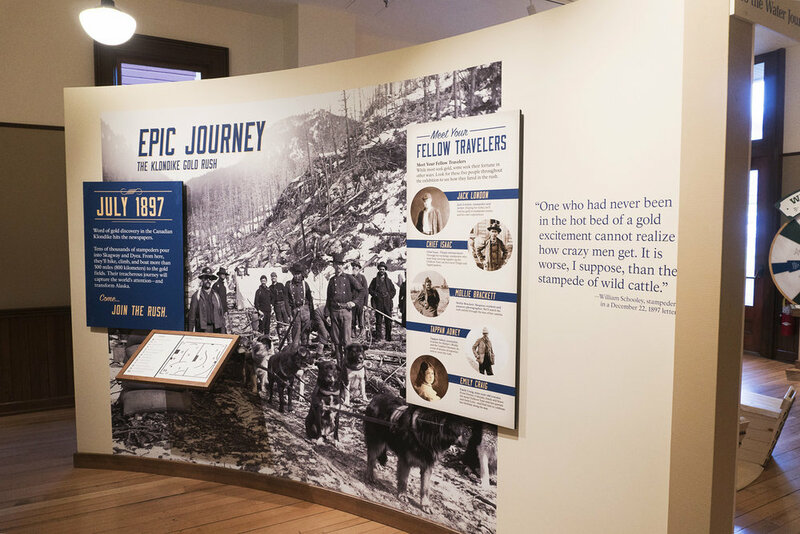 Visitors follow the journey of five stampeders, from their arrival to the Klondike to their final fate. Exhibits include layered graphics, tactile objects, dioramas, a video program showing the town "then and now," and a Wheel of Chance, which illustrates how difficult it was to strike it rich during the gold rush.